Known as the best strategy game series to date which probably gave birth to the infamous “One more turn” phase, the latest DLC to the award winning Civilization V just gave keyboard leaders even more ways to conquer the world. Introducing new features the game mechanics, players are now given even more control over their fledgling civilization in terms of trade, tourism and diplomacy. One of the biggest changes that Brave New World brings is the inclusion of trade routes. Previously, gamers establish trade routes through the use of agreements between two leaders and is the core of the game’s diplomacy system. With the new DLC, trade routes create the very foundations for relations between the different civilizations. Like in the real world, these trade routes require caravans on land and cargo ships on sea to function. The further the trade routes, the higher the profits these bring in. Of course do be prepared to defend these trade routes as you never know who might also be eying all that profit the trade route brings in. These trade routes also have another effect other than adding more coin to your bank. Science, Religion and Cultural effects can also move up and down the trade routes established. Careful use of this can be very beneficial or have the reverse effect like a double edged sword. Another new feature to Civilization V: Brave New World is tourism. 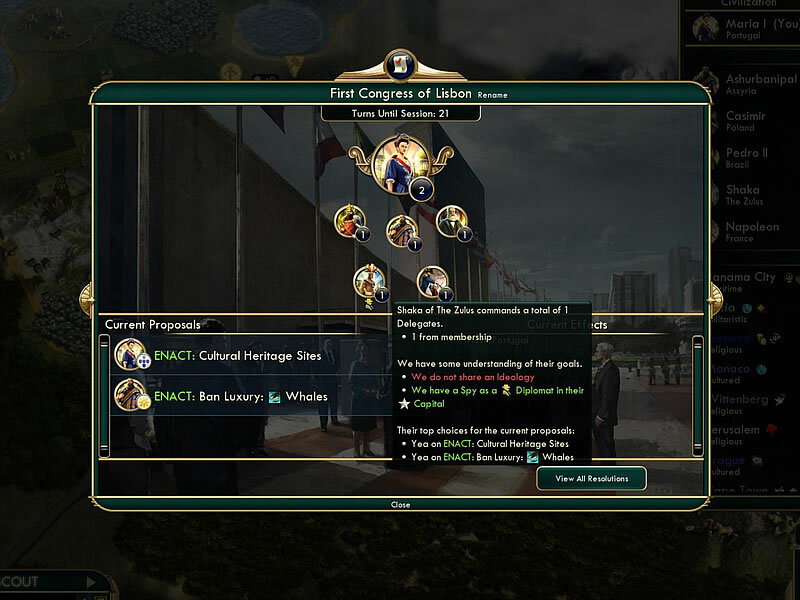 Building on the culture gameplay feature, the new DLC retools the whole concept and can affect those who rather win the game without the use of military might. A win using culture now requires you to hold significant sway over the other civilizations in the game. One would not only need to create society that “gives birth” to create painters, writers and musicians but also have these works of art produced on display for the rest of the world to see. Much like how it is done in real life, paintings are displayed in museums, musicians can go on a concert tour and writers can compose a political treatise for a one-time culture bonus or have their work showcased in amphitheaters or art houses. My favorite of the lot is the archaeologist unit which can work outside of national borders. They can do archaeological digs in foreign territory and these digs can yield artifacts. Like in the real world, you can then decide to return these artifacts to the rightful owner for diplomatic benefits or taken back to help increase tourism. The final revamp to that Brave New World brings is the diplomacy system which can affect players who prefer to win this way. To achieve the diplomatic victory, the player needs to win an election in the United Nations and be appointed as its secretary-general. With Brave New World, the diplomacy system can be considered one of the most full-featured in a game like this. This kicks off once any of the civilization researches the printing press technology and has discovered every civilization in the game. A World Congress is established and is convened after a variable number of turns. Much like the United Nations of today, the congress would decide on things like sanctions, policy and even a World’s Fair or the International Space Station. If these 3 new features are not enough to get Civilization V players to part with their money, the new DLC also brings eight new wonders, nine new civilizations, about a dozen new units and a very interesting scenario mode which includes the likes of the the American Civil War, and the second European wave of colonization and the Scramble for Africa. Calling the new DLC from Fraxis “icing on the cake” would be belittling it as it feels more like upsizing a meal and giving a little more. Everything feels even more thought through, refined and polished to ensure it shines. 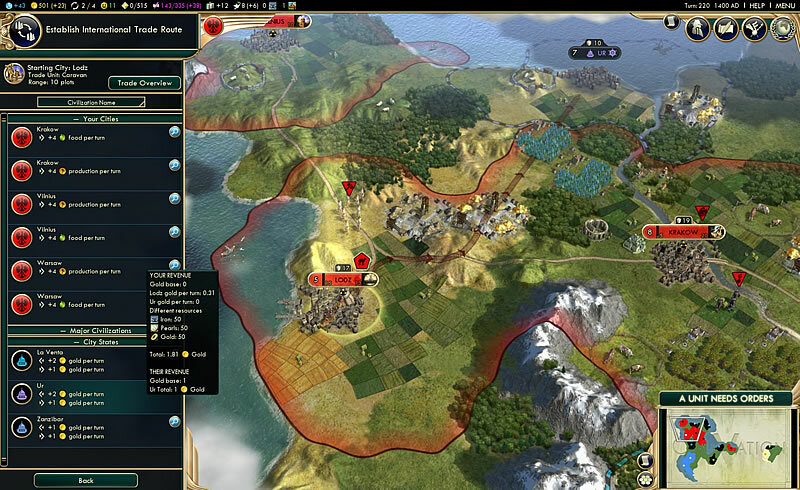 Players planning to jump back into the world of Civilization V should be prepared to lose even more sleep as the lure of “One more turn” just got stronger.